ReaderBench encompasses advanced Natural Language Processing techniques for a vast collection of language functionalities. It support English, French, Spanish, Dutch, Romanian and Italian languages. ReaderBench uses advanced Natural Language Processing techniques to provide a vast collection of language functionalities. ReaderBench is centred on cohesion and dialogism and is comprised of multiple services which address various comprehension assessment and prediction scenarios. 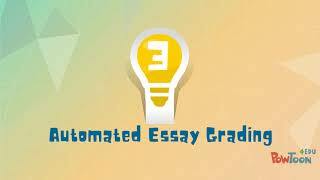 Examples of such services include the ability for tutors to execute the assessment of the learning materials and to estimate the students' essays or self-explanations. The Global version comprises of English, French and Spanish. The other libraries might be used if you intend to use just one of the languages. Some other languages will be published as deployment version in the future, too. The ReaderBench framework uses the Standard Core NLP library to implement Natural Language Processing services. A pre-processing pipeline performs the cleaning of the input texts to achieve better results. It comprises of the following steps: tokenisation, splitting, part of speech tagging, lemmatisation, named entity recognition, dependency parsing, and co-reference resolution. 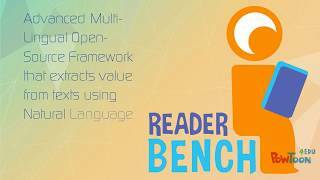 ReaderBench uses semantic models such as Latent Semantic Analysis, Latent Dirichlet Allocation and Word2Vec, and ontologies like WordNet to calculate cohesion scores and similarities between units of texts. The cohesion scores allows the determination of different relations established between documents, paragraphs, sentences and words. The ReaderBench framework can be either cloned from our GitLab Repository or simply used as deployment library. The ReaderBench Core can be accessed to explore the Natural Language Processing functionalities and operations performed by ReaderBench. You may either clone this project and explore its contents, or you can simply use it as a Maven dependency by cloning it from our Artifactory server. The ReaderBench Desktop Client can be used to test ReaderBench functionalities with the help of a Java Swing interface. This project uses the ReaderBench Core, so you may use it as a guide into integrating ReaderBench in your projects. The ReaderBench API can be used to explore how the ReaderBench Application Programming Interface works. Similar to the ReaderBench Desktop Client, you may discover how to integrate the ReaderBench Core into a project. Version notes: Stable version after major project split.